Erasmus + is a European program which aims to promote the exchange of knowledge and practices in the field of teaching and research in Europe and more widely in the world. One of the preferred mode of operation is to promote the mobility of students (students and trainees) as well as research and higher education personnel. If you are a foreign student wishing to study at ENSG the Erasmus program might be accessible to you. 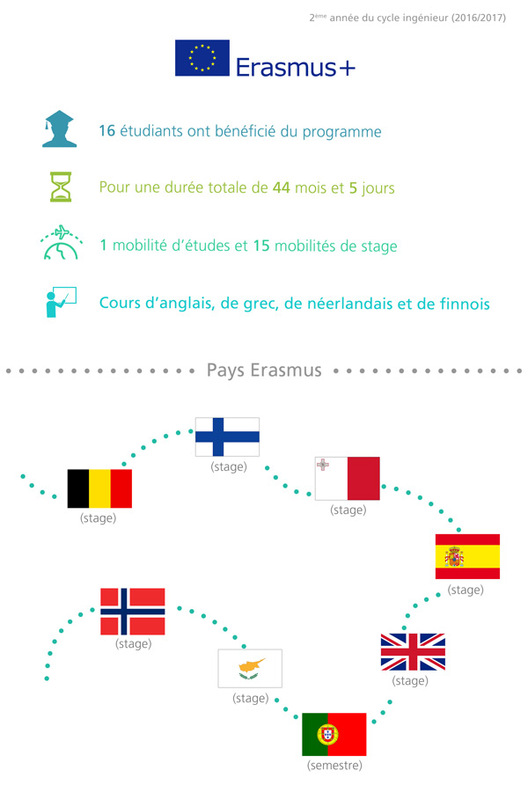 Are you a student from a European institution and you want to move to ENSG as part of Erasmus +? First, go to the international relations department of your home institution to discuss your project with them. All courses are given in French (language level required in French: B2). You cannot follow the Geomatic and Environmental Professional Licenses, Master 2 DDMEG and Master Desigeo courses with Erasmus. Once selected you will have to send your application to the International Relations Department of the ENSG (Department of Humanities, Corporate and International Relations) by email . You are a teacher in a European school and you want to do an intervention at the ENSG under Erasmus +? If applicable, the names of IGN researchers with whom you are in contact.